Our five-day Artisan Bread Camp is the perfect opportunity to take your baking to the next level. Over the course of this five day camp, you will learn a variety of bread making techniques through the creation of eight different styles of bread. 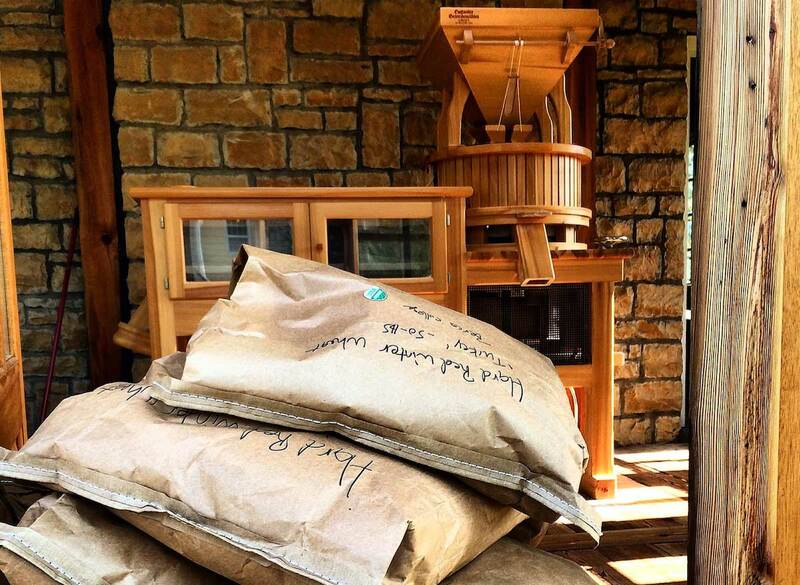 We will cover everything from baking theory and fundamentals to milling your own flour. This class is specifically geared towards individuals who have a passion for baking and want to learn more in a very hands-on environment. You can learn more about the individual lessons during each class below. 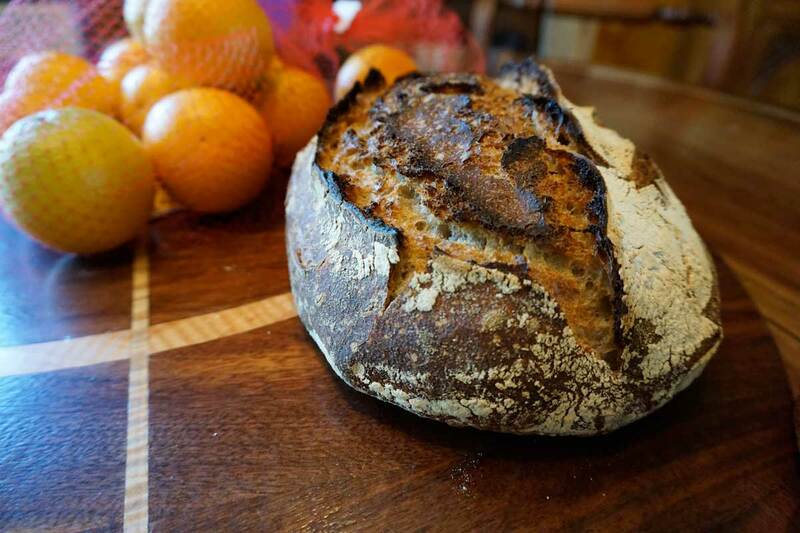 The cost of this five day artisan bread class is $1350 and includes all lunches and one family style gourmet dinner. An artisan is defined as “one that produces something in limited quantities often using traditional methods.” At the end of our five day Artisan Bread Class course, you will be well on your way to becoming an artisan baker. You will be immersed in the theory and fundamentals of artisan bread so that you can apply this knowledge across many different types of breads to produce a quality product. Repetition is a key to success and this very hands-on class will have you repeating and practicing the foundational skills of a baker every day. Our end goal will be that these fundamentals will be committed to memory so that you can continue to hone your skills outside of the Artisan Bread Classes. At the beginning of the class you will be given a binder with all the recipes and places to keep notes. This will provide reference for everything discussed and practiced in class so that you can continue to build and iterate the skills acquired during bread camp. 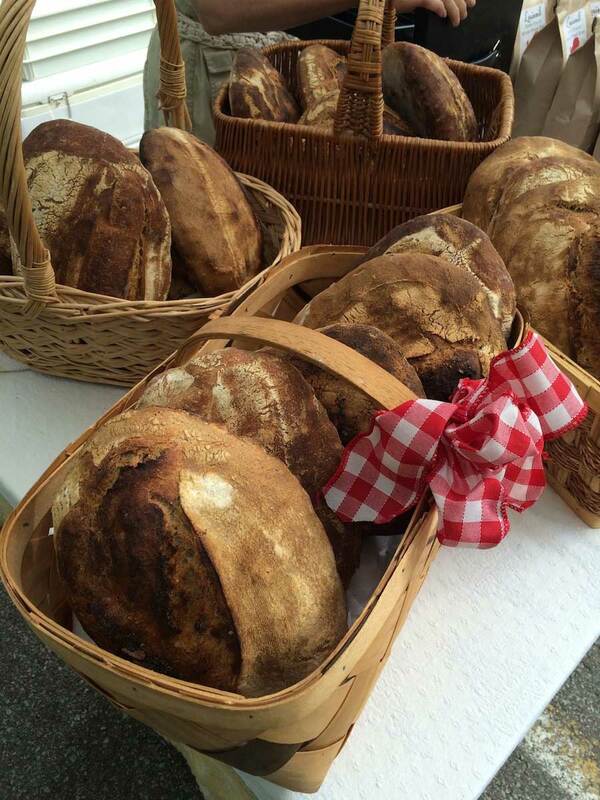 You will also take home a sourdough leaven that you will refresh and maintain so there will be no shortage of amazing breads for you to share with your friends and family. Mise en place – This French term, translated as “everything in its place”, is the most important fundamental skill we will practice. This refers to your tools, equipment and ingredients. Methodology and Theory – While we understand that you are anxious to get your hands in the dough, understanding the history of the grains you use and how they are processed shows you a more complete picture of your products. Essential Skills – This will cover everything from hydration to kneading, shaping to dough development, and preferments to baking in a wood fired oven or how to get the same loaf baked in a home oven. We will then get our hands in the dough and you will begin to learn through repetition of skills and muscle memory. We will start creating your very own sourdough leaven from nothing more than our freshly milled Louismill Organic wheat flour and water. We will continue over the next four days to nurture this starter, so that it will be strong and active when you take it home with you. We will then practice the skills discussed in the earlier by making Focaccia and a Sourdough Country Loaf, focusing on the techniques of mixing, hand kneading, folding and shaping. While our doughs are resting, we being our journey into pizza, with demonstrations and discussions on how to make fresh pulled Mozzarella, how to hand crush tomatoes and finally, creating your own lunch by shaping and firing our Neapolitan Pizza dough. After lunch, we will finish our Focaccia and Country Loaves, continuing to discuss elements, such as shaping, baking, finishing and an overnight rest for our Country Loaves. We will begin by reviewing Day 1 and answering any questions that might have arisen. We will also dig a little deeper into some of those topics we covered during the previous class, so that you can gain a more firm grasp on these essential ideas. Then we will begin our baking day by refreshing our personal sourdough leaven and discussing how important time and temperature are as ingredients. Now that you have amassed some basic skills, we will reinforce those skills by making Focaccia again (repetition) and introducing working with whole grains by making a County Loaf with our freshly milled organic flours. We will also discover the joys hand made bagels, with discussions on how these are different, yet similar to the breads already made. After mixing, kneading and dividing the bagels, we will let them rest overnight. While we will bake our first Country Loaves, which fermented overnight, we will talk about scoring and baking and what creates and loaf with an open crumb and beautiful ear. We will discuss and dissect the differences between firing in a wood fired oven and baking at home, learning some tips of the trade so that the color, flavor and texture of your home baked loaves resembles that of a wood fired oven. We will close out our second day by shaping our whole grain bread loaves to bake the next day, with starting discussions on how to use, refresh and take care of your mother/starter/leaven. We will again start the day by firing our bagels from yesterday. 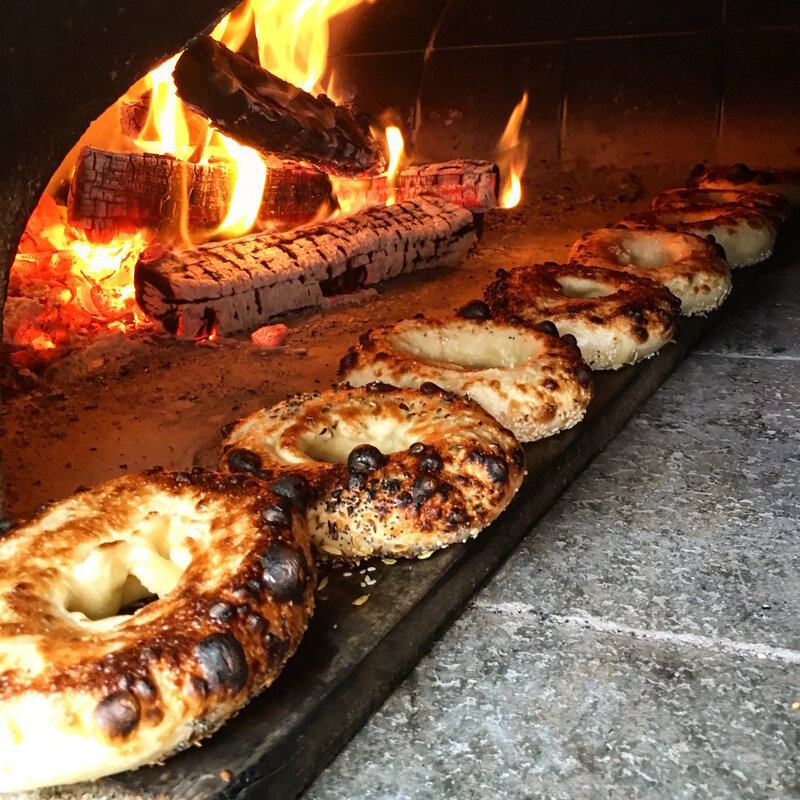 After shaping, boiling and topping, the bagels are fired in the wood oven, creating an amazing texture. You will get to enjoy the fruits of your labor for lunch! As you continue to gain confidence and skills, we will begin to delve into variations of Country Loaves. We will explore the concept of folding in items like sprouted wheat, cherries, walnuts and how to create your own signature loaf by combining different ingredients and how to fold them in. There will be some discussion on why ancient and sprouted grains are important, how to sprout your own grains at home and how these grains differ from common grains. 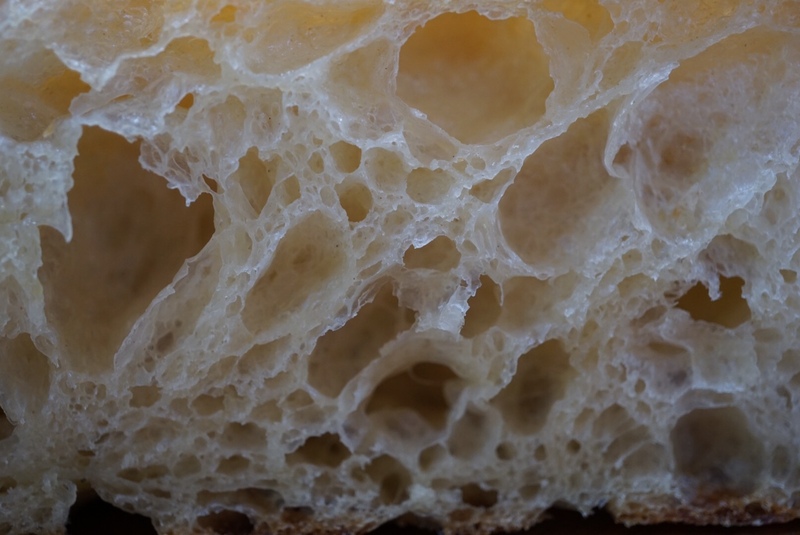 We will close out the third day of Artisan Bread Classes by learning to make Ciabatta, using the skills from our Focaccia making, such as mixing, kneading and folding. We will again discuss how to refresh your leaven and we will refresh for tomorrows bulk bake. 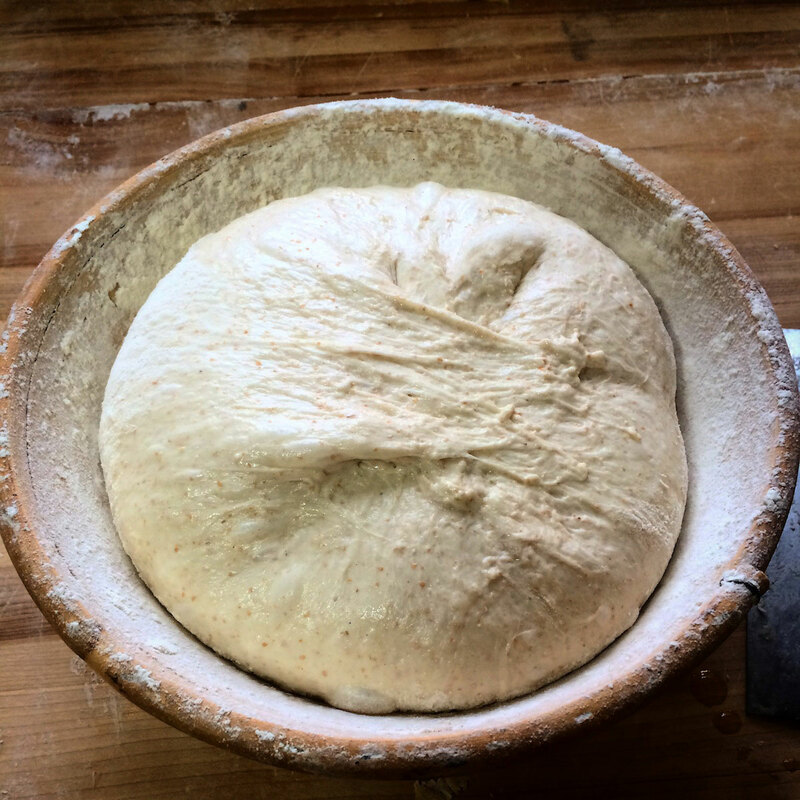 We will also discuss preferments and how and why we use them with sourdough to create complex flavor. We will then feed our sourdough leaven that we are creating and you will be able to see the changes that have begun in this fresh grain leaven as it starts to smell very much like sourdough. We will also demonstrate milling our very own organic flour and will talk all about the wheat properties, types of flours, their uses, etc. while we watch the mill create beautiful fresh flour. We start our morning earlier, between 7:30-8:00, as we will enter the world of the commercial baker! We will discuss baking in larger quantities and how you can mix and fold in tubs for larger batches. By mixing and shaping 40 loaves, you will have the opportunity to experience baking bread in larger volumes, as well as getting plenty of practice in shaping and crafting multiple loaves. Each student typically makes 6-8 loaves on this day, with a staggered start, so that each student gets one on one instruction on shaping. We will also discuss our Community Supported Bakery. This bread subscription is a great way to start a business with minimal income, while honing your skills as a professional baker. Like small children or pets, your leaven needs to be fed every day as you create it (we will also discuss how to keep your starter going when you are on vacation or planning to take some time off from your everyday baking). 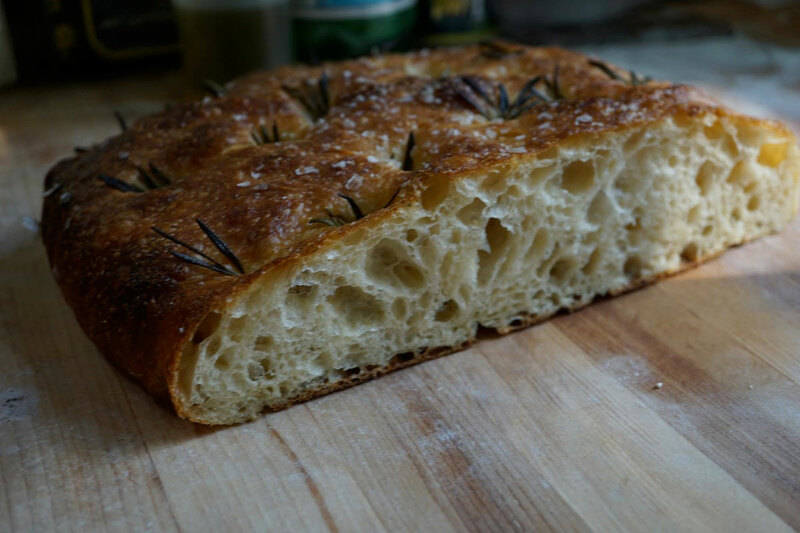 To further cement our muscle memory and artisan baking skills, we will make Focaccia again. However, we will modify these loaves by adding variations, such as roasted red pepper, tomato and basil, grapes or the creation of your own design. 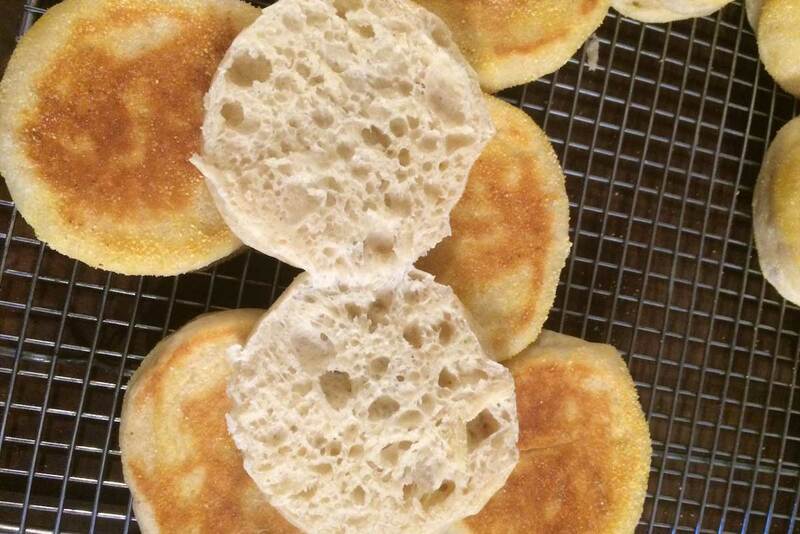 We will finish the day by making our famous MozzaPi sourdough English Muffins using a preferment and our Louismill stone ground cornmeal. Today you will get hands-on experience in firing the 40+ loaves we shaped yesterday. Utilizing the wood oven, you will learn the essential techniques for what it takes to fire the perfect sourdough loaf. You will also have plenty of loaves to practice different scoring techniques. We will then learn how to cut and griddle our English Muffins from yesterday, creating an amazing brunch with our Louismill grits, poached eggs and speck for brunch. After feeding our leaven, it will be ready to transport home. We will also be sending you home with a lifetime of Artisan Bread Camp memories and tasty treats. By now, you will have the skills necessary to call yourself an artisan baker and you will possess the necessary fundamental skills, muscle memory and recipes to go home and share your knowledge with friends and family. What will I get to take home? You will have your binder full of all the recipes and your notes, as well as all of the tools you will need to continue baking at home! You will also take home lots of bread, knowledge, and the confidence to continue to practice your artisan craft as a baker. We do suggest you gift your loaves to the hotel door man, your Airbnb host, but if you must take them home, we can find some freezer space. Our goal is to teach you to bake and for you to get lots of practice when you return home. 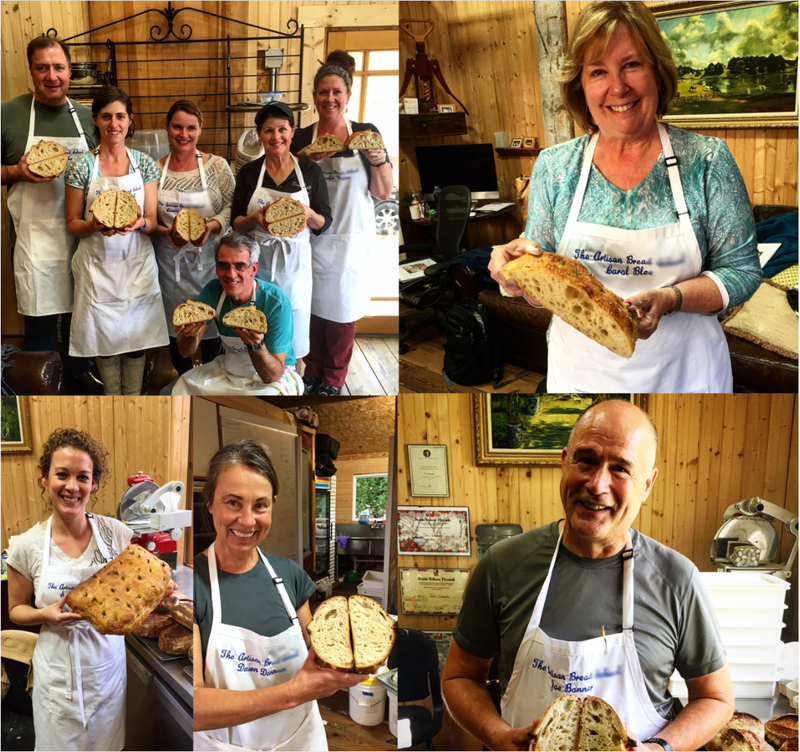 **The fee for the 5-day Artisan Bread Camp in Anchorage, Kentucky includes tuition, extensive course recipes & notes, all ingredients, 2 bannetons, as well as gourmet lunch & a family dinner over the course of 4 days. At MozzaPi – located at 12102 Lagrange Road Anchorage Kentucky 40223 (25 minutes from Louisville KY Airport), where we do all our baking and milling, but have a classroom set aside for teaching. What kind of meals will be served? We love eating healthy. Lunch will usually consists some variation of breads that we have baked during class. Pizza, Bagels, with toppings, Focaccia Sandwich and a sampling of our MozzaPi pizza. We also provide a family style dinner one night during the course of the camp, leaving other nights to explore the great local food scene, or just get some rest. While most of our meals will have some protein, there will also be a vegetarian version as well, if requested. Springhill Suites – 10101 Forest Green Blvd. WHAT IF I AM UNABLE TO ATTEND THE ARTISAN BREAD CAMP AFTER I HAVE PAID? 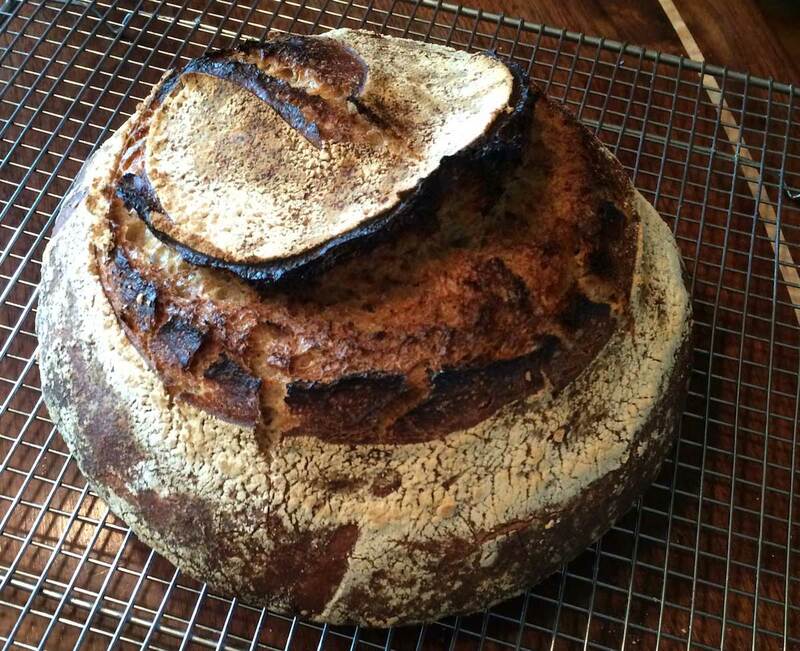 All payments for the Artisan Bread Camp are non-refundable within 60 days of Bread Camp start date. If you would like a refund prior to that time, please contact us direct and we will be able to issue a 75% refund. Any refunds after this 60-day window will be forfeit, however you may decide to sell your Artisan Bread Camp spot to a friend at full price to recoup any loses. What if I didn’t enjoy the Artisan Bread Camp? We have been hosting sourdough classes at the Artisan Bread Classes in Anchorage, KY since 2011 and have received so many Thank You notes and kind words relating to our student’s experience at the Artisan Bread Camp. We are confident you will enjoy your time as others have in the past. If for any reason you were not completely satisfied with the class, we will refund you your class tuition in full. How do I register for Artisan Bread Camp? All you need to do is head to our Schedule page and fill out the contact form in order to get your name on our class register. We will contact you shortly after submission with additional details about the Artisan Bread Classes and information about housing and transportation, if you need it. So if you are interested, please head HERE to register for our Camp or any of our other classes.